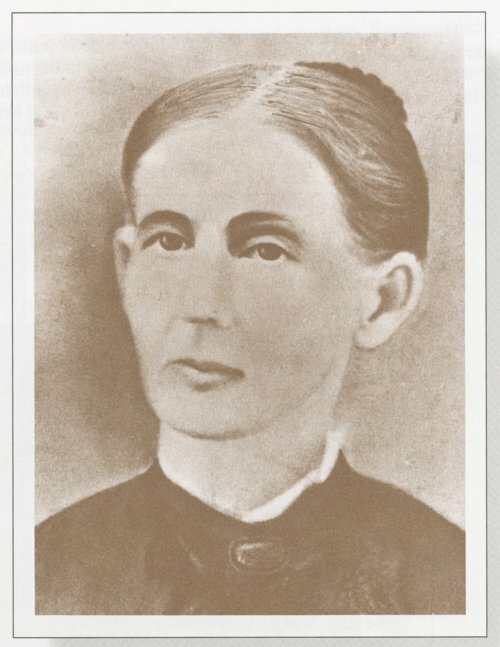 This is a photograph of Mary Jane Shelledy Ritchie, the first wife of John Ritchie. She was the youngest daughter of Caleb Shelledy of Shelby County, Kentucky. At the age of 10 years, Mary Jane went to live in Franklin County, Indiana. On January 16, 1838, she married General John Ritchie and came to Topeka in 1855. She is reported to be the fifth woman to settle in Topeka, Kansas. The photograph is copied from "John Ritchie, Portrait of an Uncommon Man" published by the Shawnee County Historical Society.